Pawhuska-First UMC has continued a tradition of helping students get ready for school by giving out bags of school supplies. Since the project began 12 years ago, it has grown to provide the filled bags to 500 students. "It makes me feel really good because we had a lady come today and, when she got the school supplies for free, she said, ‘Now we can go clothes shopping,’" retired Pawhuska teacher Linda Boone told Tulsa’s TV Channel 6. Boone came up with the idea 12 years ago. "There’s nothing worse than seeing a kid that doesn’t have what the other kids have when they come to school," she said. 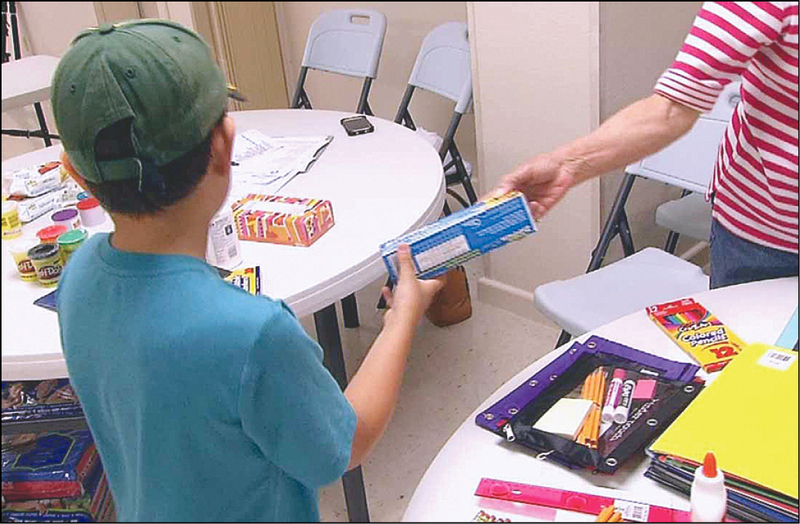 Volunteers refer to Pawhuska’s school supply list before gathering items such as pencils, paper, and Play-Doh for the bags. Pawhuska-First gives free school supplies to public school students.